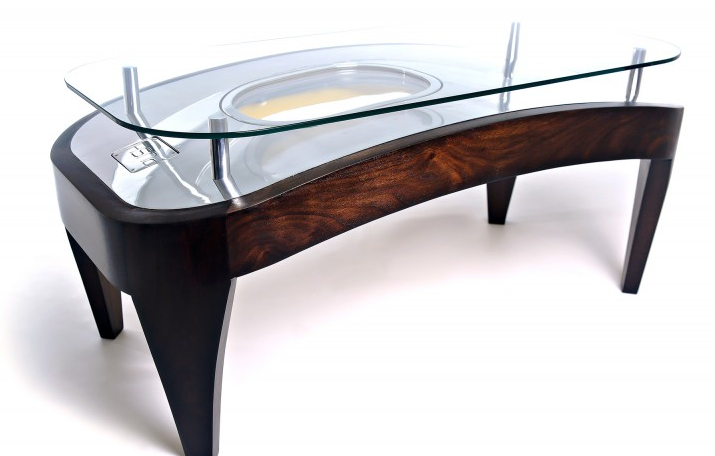 Fallen Furniture makes airplane furniture and has some really cool pieces for your man cave or wherever made from genuine jets. One of the items that really stands out is their Bomb Bar. 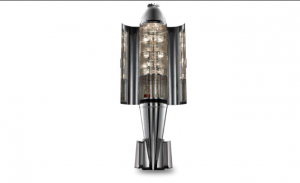 The mirror-polished Cluster Bomb Drinks Cabinet is a truly unique piece of luxury furniture. Behind the gleaming 1970s missile fuselage, three glass shelves revolve around a gold-plated spindle; while in the base, a sliding platform built from lacquered American walnut conceals an armory of custom-made cocktail utensils. They also have a bar made from the cowling from the aircraft engine. With these additions to your home you are sure to be a crowd-pleaser. 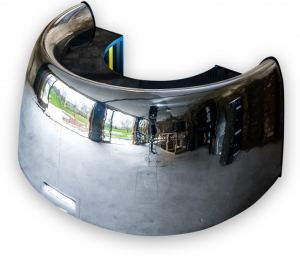 Perhaps you are not a drinker and still, like the look of luxury home bar made out of aircraft parts how about a cowling chair. 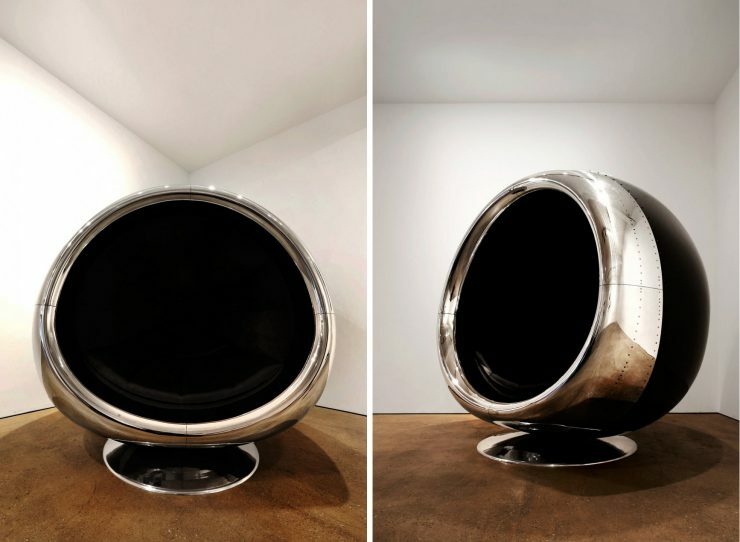 Created from the engine cowling of a Boeing 737, this colossal, luxurious chair, spins weightlessly, on its highly polished spun aluminum base. Don’t forget you are going to need a table to go with that chair. How about a table that once served as the emergency exit door of an Airbus A320, the aluminum exterior has been polished to a mirror-finish and supports a toughened glass top.